It didn’t occur to me to introduce stickers to my toddler until I thought of the long car trips we’d be taking at the holidays. Once I ordered some, he immediately took to playing with them. He puts them in a sketch book, or all over the furniture, but no matter where they go he loves picking out which ones to peel off and it never gets old. We purchased the Melissa and Doug Sticker Collection-Blue for Jr, which had a ton of stickers and lasted us quite a while. We have since bought another book. 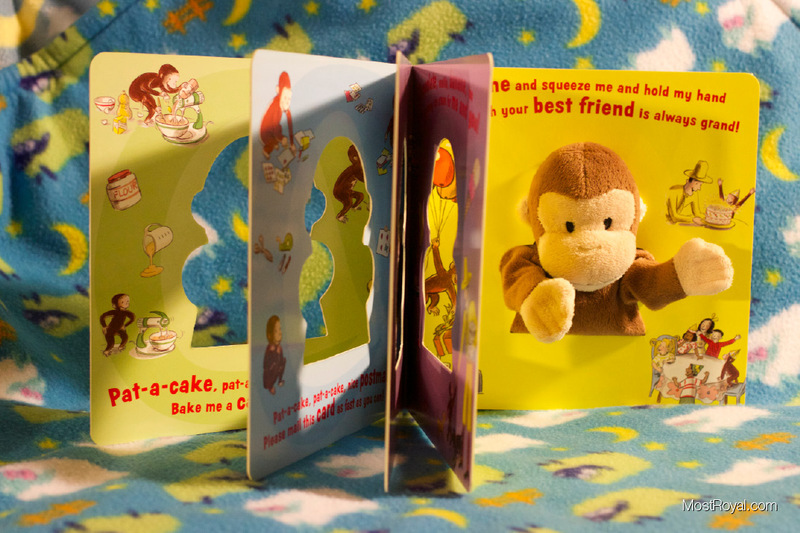 We also tried the Melissa and Doug Reusable Sticker Books, and I think this one will be great for when he is older. Right now he wants the stickiness of a real sticker versus the static cling of the reusable ones (they don’t stick as well to Mom’s pants! ), but I still like them a lot and I think he will too, in time. 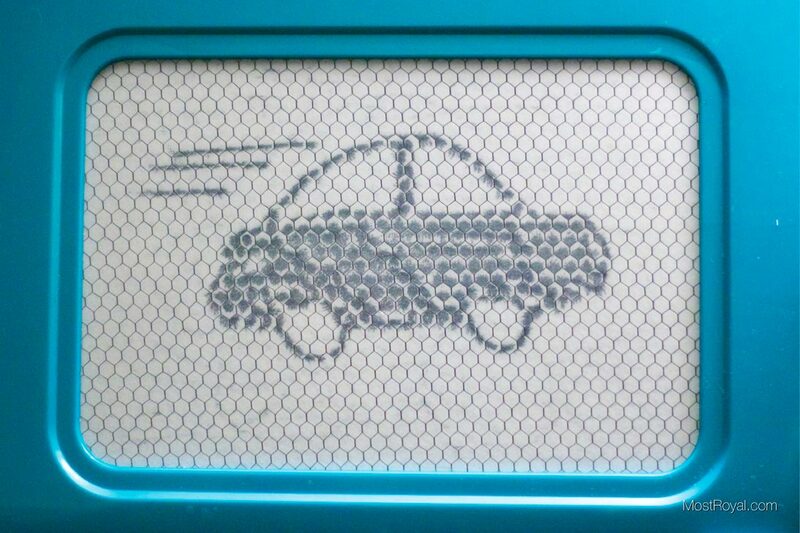 Fisher Price makes a mini version of the old classic Magnadoodle called doodlePRO Trip. My sons LOVES this toy. He loves drawing on it and scribbling away and he loves being able to erase and start over again. The best part about it is that it doesn’t make a mess! No fear of crayon ending up on the seat and the in-flight television screens. It still provides the satisfaction of creating a drawing. This was the best item I’ve bought for traveling. Works great in a car or on the plane. Magnet toys are great on trips for obvious reasons, the pieces stick to the pages! The Mickey Mouse Magentic Zoo set is a fun little toy, compact, with lots of magnets and little scenes for your tykes to set up and move around. There are many options out there for tons of playtime fun, and if you live somewhere where you own a car (unlike us in Brooklyn,) keeping this in the back seat is a great option for your child’s entertainment when you’re on the go day to day. This might work on a flight too, but just thinking about parts dropping to the floor might become a bit of a headache. In the car you at least know it’s there to be found when you get to your destination, as opposed to a flight where it might travel down the aisle…. With a convenient carrying handle and a compact case this will pack away nicely in luggage or a carry on bag. Great for any trip you have coming up! The Bizzy Buckle Toy has proven to be a winner on trips with our little guy. He loves trying to snap the buckles together, and though it can be frustrating for him at times, it is great practice. He is still a little young to have the dexterity of fitting the buckles together without help, but he has never gotten so frustrated that he hasn’t wanted to play with it. The Bizzy Buckle Toy is simple, easy to pack and has proven to have longevity. Is It a Book or Is It a Puppet? 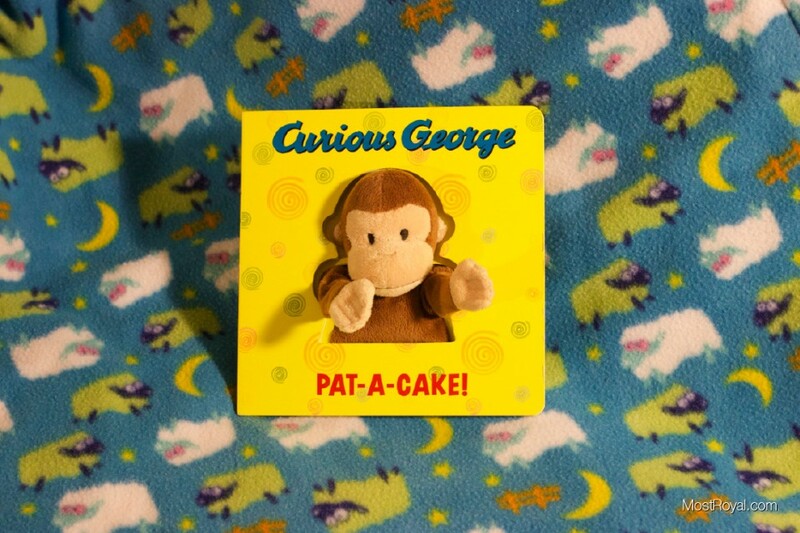 Curious George Pat-a-Cake has been a fantastic book in our house. One of the many items we received at the Holidays from family, this book was a hit from the beginning. Thanks to my husband (a complete character in his own right,) my son LOVES puppets. He also loves books (yay!) and the combination of the two is a win-win for everyone. Basically, George’s arms are little finger puppets. You simply stick your hand in from the back and make him go through the motions of Pat-a-cake. Beyond the simple rhyme and puppet action this toy has been an interesting learning experience for our son. He kept wanting to figure out how it worked. Watching him try to do so was obviously super adorable. Watching him eventually put it all together, stick his fingers in the puppet and make it move blew his mind. This book has provided us with non-stop laughter and excitement for the 7 months we have owned it. In fact, we had to eventually ban it from the bedroom or else nap time would never happen. Posted on August 6, 2015 August 6, 2015 Author StephCategories 5 Star Reviews, Most Royal!Tags Board Books, Books, Curious George, H.A. Rey, interactive, PuppetsLeave a comment on Is It a Book or Is It a Puppet?